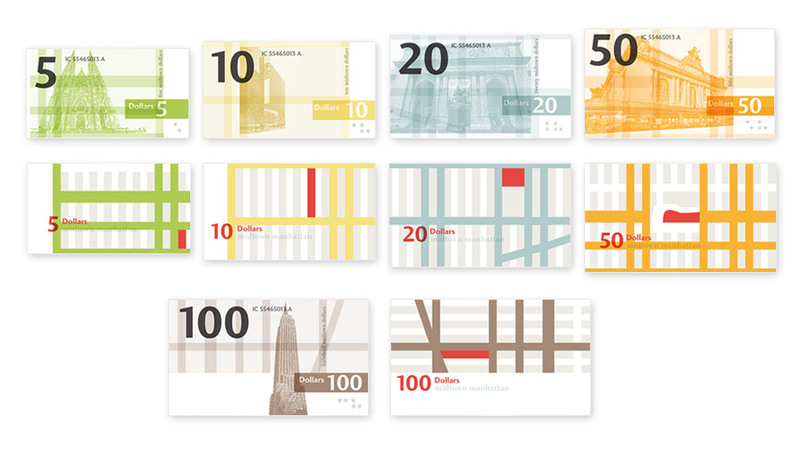 The local currency is designed for Manhattan. 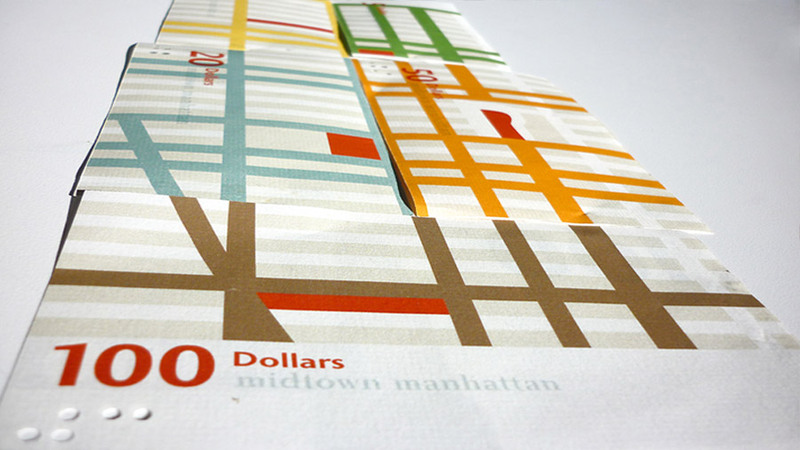 The back of the notes features the map of midtown Manhattan while the front has one famous building in that part of Midtown on it. 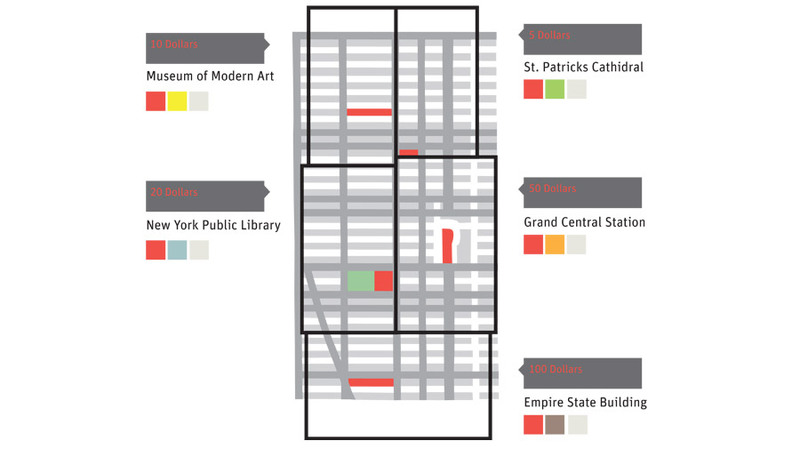 By putting all notes together the whole map of Manhattan is shown. 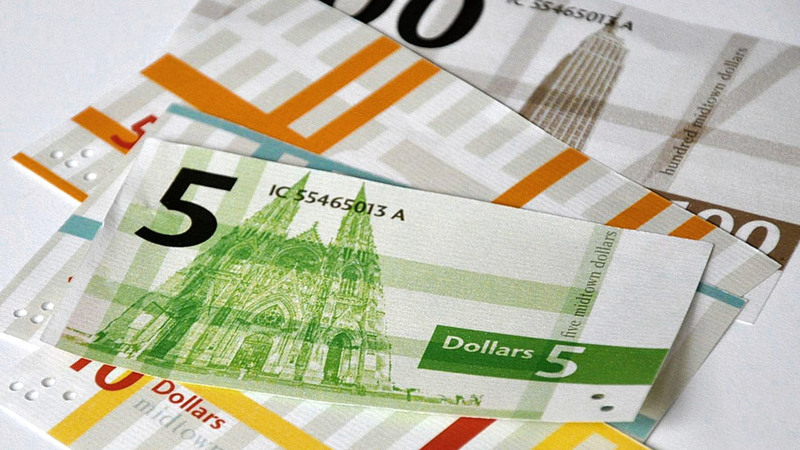 Each of the banknotes has its own color and is issued in $100 (Empire State Building), $50 (Grand Central Station), $20 (New York Public Library), $10 (Museum of Modern Art), $5 (St. Patricks Cathedral).